Zita, the founder of Life Therapy with Zita welcomes you to the debut episode of Conversations with Ourselves. 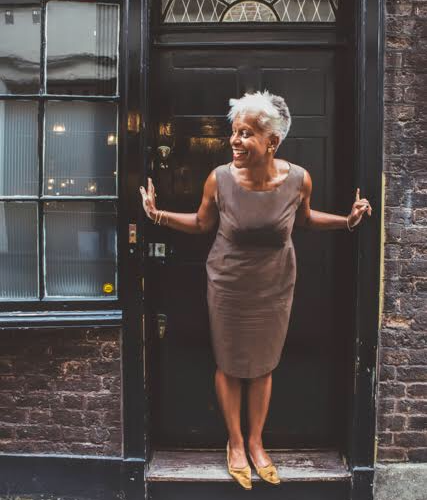 Zita talks about the podcast and shares an inspiring conversation with Dr. Maggie Semple OBE. Maggie is a successful business woman and entrepreneur – founder of “Semple” – a bespoke women’s fashion brand. She is a Member of the Queen’s Counsel Appointments Panel, Executive Director of the Criminal Cases Review Commission. Maggie also serves on a number of boards including the Southbank Arts Centre and is a trusted advisor to many substantial organisations. In the 90’s Maggie served as Director of Education and Training for the Arts Council, she then went on to become the Director of Learning Experience at the Millennium Dome managing a budget of £80m. Shortly after, she received her OBE. Maggie has achieved so much; doubtless, she is a bold leader, courageous, gracious, fun and kind she is an inspiration to many. I loved the conversation with Maggie, I trust you will too.